Lion Children's Books, 9780745962672, 32pp. My big sister Clemmie is my best friend. She can’t walk, talk, move around much, cook macaroni, pilot a plane, juggle or do algebra. I don’t know why she doesn’t do these things. Just because. A younger brother describes all the fun he has with the big sister he loves so much—just because, in this heartwarming picture book about being perfectly loved, no matter what. He is enthusiastic about just how loving and special she is, and delights in telling us about all the fun things they do together. Only as his tale unfolds does the reader begin to realize that his sister has special needs—and by then the reader just accepts, as he does, all the wonderful things about her. Teachers and librarians will appreciate this book for its sincere and convincing treatment of children with special needs, while parents will use this book to encourage sibling friendship and to read with children who are beginning to ask why a particular child they know is "different." 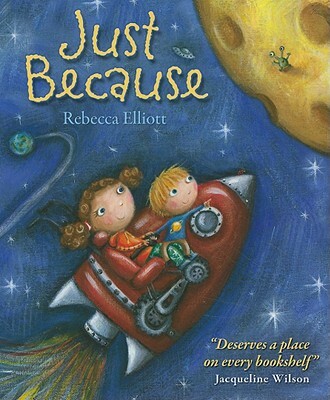 Rebecca Elliott has illustrated several children’s books, including Jungle Tumble, Monkey Tumbles, My Nativity Jigsaw Book, and My Noah's Ark Jigsaw Book.